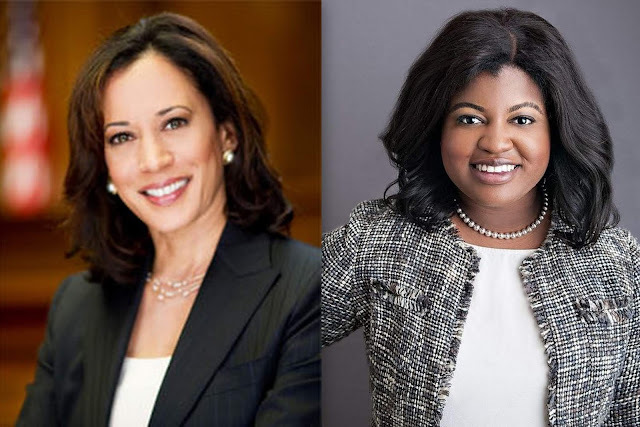 California Sen. Kamala Harris is announcing the backing of Iowa Democrat Deidre DeJear as she travels to the early 2020 caucus state Monday. DeJear was Iowa's first African American to win a primary for statewide office last year, but lost in her attempt to unseat Iowa's Republican secretary of state. DeJear has since been courted by several Democrats taking steps toward running for president. Harris campaigned with DeJear in Iowa last fall after the two met in Washington, D.C., and California. Harris is scheduled to travel to Des Moines to participate in a CNN town hall-style event live Monday evening. Harris announced her candidacy for president Jan. 21. She also announced that Will Dubbs, a former aide to Hillary Clinton in 2016, will direct the California senator's 2020 Iowa campaign.